Another inmate testifying at the Commission of Inquiry into the Camp Street Riot in early March has claimed that Deputy Director of Prisons Gladwin Samuels told prison wardens to lock the door to the dormitory and let the prisoners’ burn. 17 inmates that in a fire that ensued after a riot in the prison on March 3, 2015 while several others were injured. Samuels who is the Deputy Director of the Guyana Prison Service has been sent on six weeks leave dating back to March 3, 2016 when the inmates met a fiery death at the Georgetown Prison. 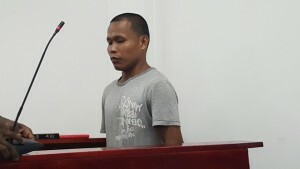 When called to the stand on Monday, accused murderer Kenneth Griffith testified that after being informed that the prisoners had lit another fire, Samuels told the wardens to let them burn. Griffith, a resident of the Capital C section, was unable to give an account of how the fire started in the prison on March 3. With tears in his eyes, the inmate detailed that the officers may have been reluctant to go against the orders of the Deputy Director of Prisons since the officers might have been intimidated by a gun on Samuels’ waist. The inmate said that he even pleaded with Samuels to do something to save the men, but his cries fell on deaf ears. “Where Mr Samuels was standing it wasn’t too far from me. I said Mr Samuels regardless of wuh is people like yuhself, open the door and let dem man out,” the man stated. He said it was only after the Officer in Charge of Camp Street Prison Kevin Pilgrim intervened that the ranks moved into action and mounted efforts to rescue the men that were trapped in the burning dormitory. “I don’t know what it is that Mr Pilgrim told the officers but they picked up hose and run up the step,” the inmate said. Under cross examination by Joint Services Attorney Selwyn Pieters, the inmate stood his ground maintaining Samuels is responsible. 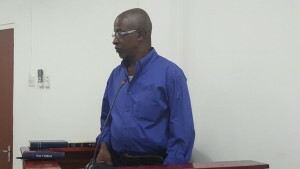 Another prisoner, Trevor Williams testified on Monday and told the Commission of an unpleasant exchange between Pilgrim and Samuels on that day. “Samuels told Mr Pilgrim to shut up because Samuels was leading this exercise,” the inmate stated. He also testified that inmates from Capital A had stoned Samuels while he was outside of the dormitory.